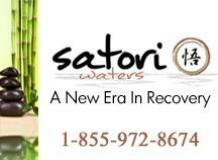 Satori Waters incorporates and combines several successful facets of substance abuse treatments, including psychological evaluations to ensure an accurate and thorough diagnosis, cognitive-behavioral techniques, neurofeedback interventions, group based therapy, individual therapy, interactive journaling and 12 step program based principals.The current treatment program for addiction is based on a combination of the aforementioned techniques, conducted in a start of the art treatment center. The premises of the program are that substance abusers are capable of change, behavior results from conscious choice and that thinking and skill development are integral for more effective ways to live one’s life. Satori Waters is designed to treat both the substance abuse problem and the underlying issues that contribute to the problem as a whole. Call us, we can help.